Thursday, February 22: Mail-in Registrations must be postmarked by this date. noon Mountain Time on Thursday, February 22: Online registration closes. Participants must register on site after this date. noon Mountain Time on Thursday, February 22: Cancellations received before noon Mountain Time will be entitled to a full refund, less a $10 handling & processing charge. Registrations cancelled after 12:01 p.m. Mountain Time will not be entitled to a refund. Registrations are non-transferable. Standard check-in time is 3:00 pm and standard check-out time is 11:00 am. Friday, March 16 to Sunday, March 18, 2018. The deadline to reserve rooms at the conference rate is Wednesday, February 14. The CMS Great Plains Chapter is holding a limited block of rooms, and these are sold on a first-come, first-served basis. Reserve by phone by calling Toll Free: (319) 352-1311 and referencing “College Music Society Conference Great Plains.” A credit card is required at the time of reservation to hold a room but will not be charged at the time of reservation. Note: Phoning the hotel is the only reservation method guaranteed by the hotel to result in an actual booking. Please be aware that phone and email scams exist which target conference attendees, and that neither the hotel nor CMS have authorized any third-party agents to represent them in booking rooms for guests. The royal women’s community of Wilton Abbey was famous in the Middle Ages for the learning and artistic creativity of its nuns. A fourteenth-century manuscript containing processional chants from Wilton was known in the nineteenth century, but disappeared circa 1860. Since 2015, I have identified thirty-eight dispersed leaves of the missing manuscript with the help of a network of scholars, librarians, and manuscript dealers. This presentation will describe the digital reassembly of the manuscript, which will not only make its contents freely accessible, but also has the potential to lead to the identification of additional missing leaves. Case studies from the abbey’s processional repertoire will demonstrate the distinctive musical and dramatic traditions transmitted in the manuscript. I will show how the women used musical processions to create memory maps that reinforced the community’s centrality in the surrounding sacred and institutional landscape. Finally, I will explain how contemporary theories of spatial and kinesthetic learning and cognitive mapping can help us understand the mnemonic and pedagogical function of singing in procession. This presentation will include musical examples and opportunities for participatory singing from the original manuscript. Alison Altstatt is Assistant Professor of Musicology and Music History at the University of Northern Iowa School of Music. Her research has focused on the music and ritual of medieval convents, the medieval song genres of sequence and proper office, medieval manuscripts and their twentieth-century reception, and digital scholarship in Chant Studies. 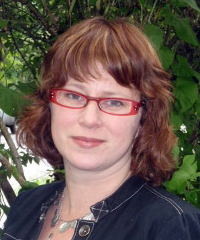 She has presented her work to the American Musicological Society, the Cantus Planus study group of the International Musicological Society, the College Music Society, the International Congress on Medieval Studies, the Medieval Academy of America, the North American Academy of Liturgy, and Arbeitskreis geistliche Frauen im europäischen Mittelalter (Working Group on Religious Women in Medieval Europe). Her most recent publications have identified and analyzed a fourteenth-century musical manuscript from the English convent of Wilton Abbey that had been missing since 1860. This manuscript, containing music for processions, is the subject of a book-in-progress titled Wilton Abbey in Procession.